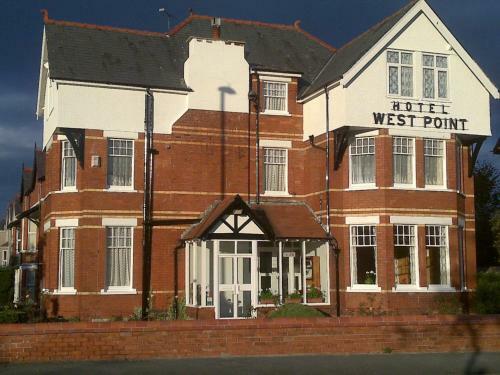 Bryn Woodlands House, Colwyn Bay, Conwy County hotels with instant confirmed online booking. We have Hotels throughout Conwy County , Wales . Accommodation near all the attractions, places to see and things to do.......You are able to make an instant secure confirmed online booking. We also offer information on Airports, and travel and tourist information. Bryn Woodlands House is a family-run four-star guesthouse situated 2 minutes’ walk from the town centre of Colwyn Bay. 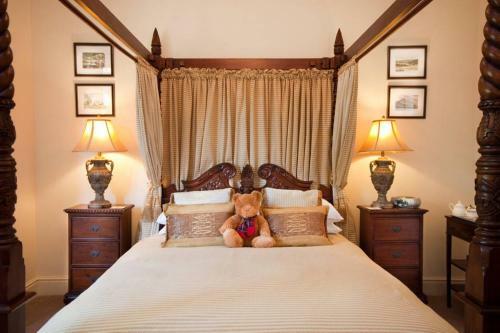 The property’s nine rooms are all individually decorated to suit the ambiance of the Victorian building. Rooms range from single rooms up to superior king size, as well as 4-poster rooms. All rooms are en-suite with flat -screen TV’s, hair dryer, and tea and coffee making facilities. Bryn Woodlands House offers guests breakfast, which consists of a buffet with traditional cereals, fruits and juice. A cooked, a la carte breakfast or a traditional full English breakfast are available, as well as lighter options. The property is located 2 minutes’ walk from Colwyn Bay train station and town centre, which provides a range of international cuisines at its restaurants and bars. The local beach is 5 minutes’ walk from the property. Bryn Woodlands is 5.6 miles from Llandudno, and a free shuttle bus to The Welsh Mountain Zoo is available from Colwyn Bay\'s train station. Conwy is 6 miles drive from the property, while Bangor, Snowdonia National Park and Betws-Y-Coed are 20 miles away. Caernarfon and Anglesey are 37 miles from Bryn Woodlands.